very interesting recipes I will try some of them out when I do build the new salt-kiln. I might even try soda in the new kiln or I will wait for next opportunity. I am adding here some of mine recipes which I have worked with in salt. I am also adding my method of salt firing and I hope that it is of an interest. I have written this information for John Mathieson’s book called ‘Techniques Using Slips’ which has just been published. So I thought it might be interesting for La Meridiana participants. Some of the recipes are same as the ones already published on your blog the firing method is also quite similar, but do take a look. Hope that this is of some use. 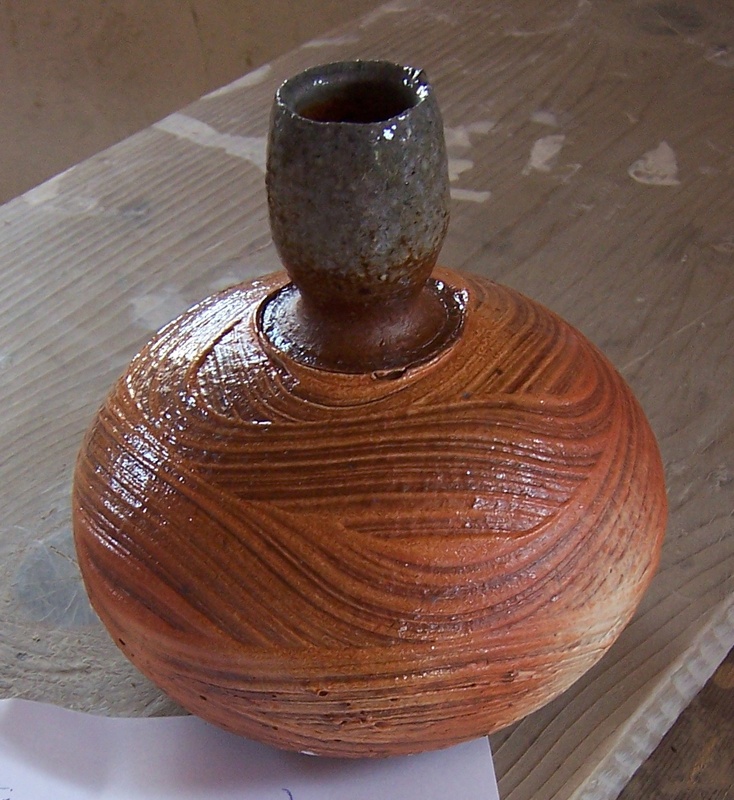 The Use of Slips in salt-glaze. Salt Glaze is formed when ordinary salt or soda is introduced into a kiln designed for this purpose. It is usually a flame fired kiln. Salt or soda is usually put into the kiln after 1240 C, when it immediately vaporise. The sodium from the salt or soda combines with the silica present in the clay’s surface and creates sodium silicate which is the glass on the surface typified by it’s orange peel appearance. The glaze on the shard will form in salt firing regardless of whether or not there is a slip or glaze applied. However, salt glaze potters use slips to gain colour, but also to alter and manage the surface of the wares. Slips rich in silica will attract more sodium and will promote richer and glossier surface whereas slips higher in alumina will resist the attack of the salt and will create a surface which is matter and dryer. The application of the slips to wares intended to be fired in a salt kiln is much the same as in any other firing, slip can be poured on , brushed on, sponged, sprayed, slip trailed, splashed. What is different is the fact that the slip decorated pot in salt glaze needs only be once fired. 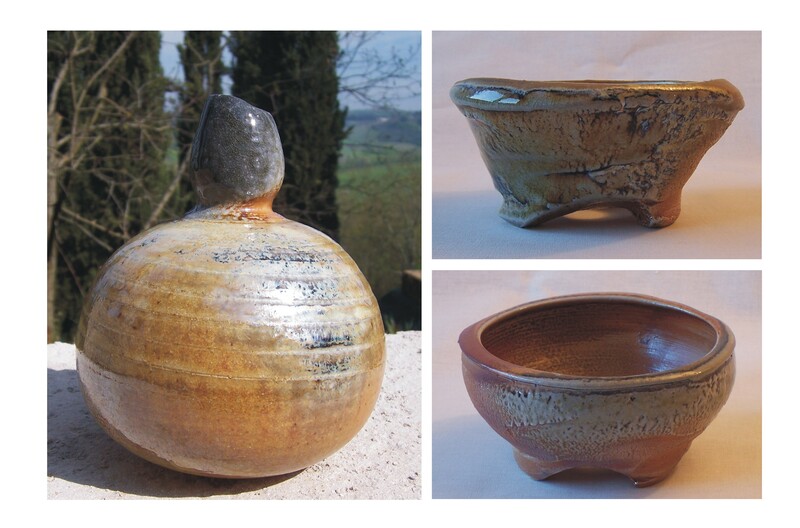 For glazing the internal parts shino glazes or other raw glazes are usually used. Salt vapour is present everywhere within the kiln. Therefore the pots are usually placed on salt resisting wads, which prevent them from adhering to the kiln shelves as everything within the kiln gets a layer of glaze. Like with all firings it is advisable to place tall pots at the bottom and shorter pots at the top of the kiln to promote better flame flow. Distance between pots is also important for the surface forming. The salting in a loose pack will be more even, on the other hand close pack will promote flushing and variation of salt build-up on individual pots. When raw firing caution must be taken in the early stages of the firing that pots do not explode. To begin with the firing will be just the same as any biscuit firing in a gas kiln. Starting to reduce quite heavily after 1000 C for 20 min then keep a moderate reduction until 1150C when the atmosphere in the kiln is cleared and oxidised for about 30 min. The temperature will rise and at approx 1200 C reduce the kiln again and maintain medium reduction till 1240 C when the atmosphere in the kiln is cleared and oxidized again ready for starting to salt. The amount of salt will vary in accordance with the age of the kiln. New kiln will need 1kg for 1sq foot or more. Salt is often introduced in paper wraps shoved into the flame port, whereas soda is introduced in a form of water solution sprayed into the kiln through various spy holes. Salting process will naturally reduce the kiln so when salting is finished the atmosphere needs to be cleared again. In my firings I prefer to fire to cone 9 and have cone 10 still standing when I finish the firing. In the end all ports are opened for about 20 minutes to half an hour, this process is called crash cooling. Crash cooling not only prevents the crystobolite build up and dunting associated with this, but also has a positive effect on the colour development. This is my firing cycle however others might vary. Traditional oranges and browns are achieved by using various combinations of clays and it is the ratio of alumina, iron and silica that create these colours. For colours from oxides any oxide can be mixed in a white base slip to get a result. Most common is of course cobalt which produces blue. This is often too harsh a blue so some iron oxide can beaded to calm it down, If used in combination with iron baring ball clay turquoise is produced. Cobalt in combination with rutile will produce iridescent green, it will also produce green in combination with Chrome, with titanium will produce pearl blue. Combination of Cobalt, manganese dioxide and iron oxide will produce slate colours. Titanium in a base white slip will produce silver pearl effect, while Rutile in the same will be more towards gold. All colouring agents will work one way or another in the salt kiln and their combinations are endless. With the ceramics technology advancing there are also currently available on the market ceramics stains which will not burn out in the salt firing providing that the kiln is fired no higher than 1280 C. So most untraditional colours to salt glaze such as pastel reds and yellows are achievable from some commercial stains now. Layering two slips of different vitrifying temperatures as is practiced by Daniel Boyle will encourage the top slip to break up and reveal super exaggerated salt-glaze effect. The result of salt glaze slips however is almost never guaranteed to be exactly the same as this depends on many circumstances such as type of the base clay, application, the kiln stack, age of the kiln, amount of salt attracted etc. 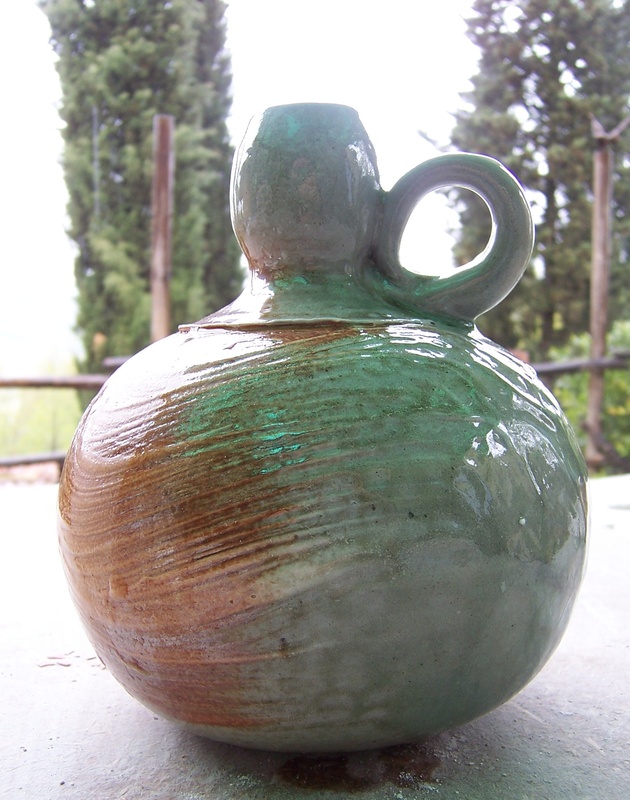 Any stoneware clay body can be fired in salt kiln, however clays rich in Iron will fire very dark and are not therefore good as a background for coloured slips or glazes. Also clays high in alumina will not produce a good result. 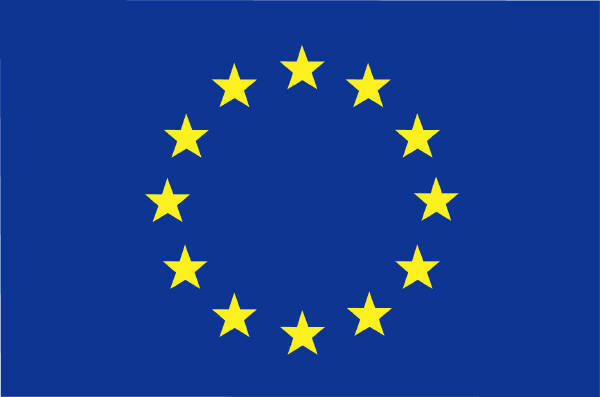 There are clays on the market specially formulated for use in salt. But here is couple of recipes for old salt favourites. The sodium glaze itself has no colour, and it takes various shades from the clay beneath. Many potters use slips and/or oxides and stains to introduce colour on to the surface of their work, and depending on the diversities of the firing and cooling processes, colour responses will vary greatly. When using slips the same basic principles of interaction between clays and soda apply. The ratio of alumina to silica will affect the glaze finish. The higher the proportion of silica to alumina, the more sodium is attracted to the slip, and thicker the glaze formed. If the slip covering the body is high in alumina, the sodium is resisted and a more matt, flashed surface tends to result. In a vapour glazing slip normally a high percentage of kaolin is used and additions of a variety of fluxes and oxides makes for a big choice of colour. Soda glaze quality is highly reliant on materials used, especially clay. It is important to become familiar with locally available clays and their responses to soda vapour. Developing and working with slips is a good start for such research.